What does knitting have to do with Biobanking? I wouldn’t be offended if someone didn’t see a connection between knitting and biobanking. But, sometimes we need unlikely pairings to entice people to think about a new subject. I met a woman in the summer who told me when she had some tissue removed during a procedure. We discussed other people’s experiences that we knew of, and other stories about what donated samples had led to, in terms of medical innovation. We thought about how there was a power to storytelling in captivating an audience, and how we could use this as a basis for our biobanking public engagement project. 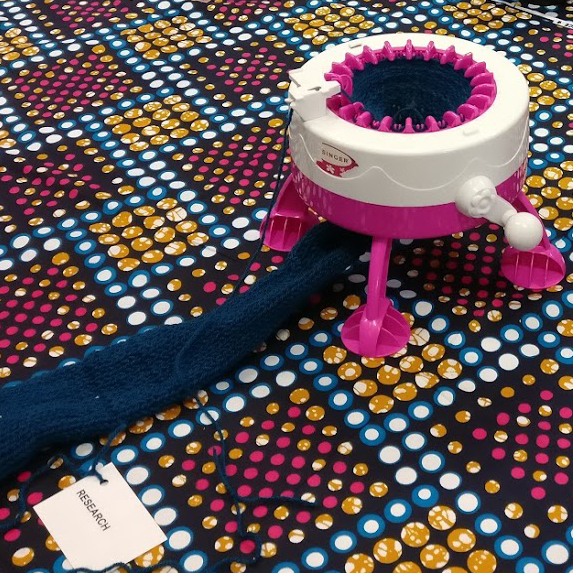 A yarn is another term for a story, and while the stories we wanted to tell were true, we thought the visual of a thread being manipulated into an object provided a nice metaphor for participation in medical research. That’s how we began our project, Yarning to Consent. Yarning to Consent is an interactive table top display of objects and interviews to engage the public in biobanking. Debra Watson and I created the display through a wider project at UCL bringing together researchers and artists. The project concluded as a one-day display at Stratford Library to see if it did encourage engagement from the public. 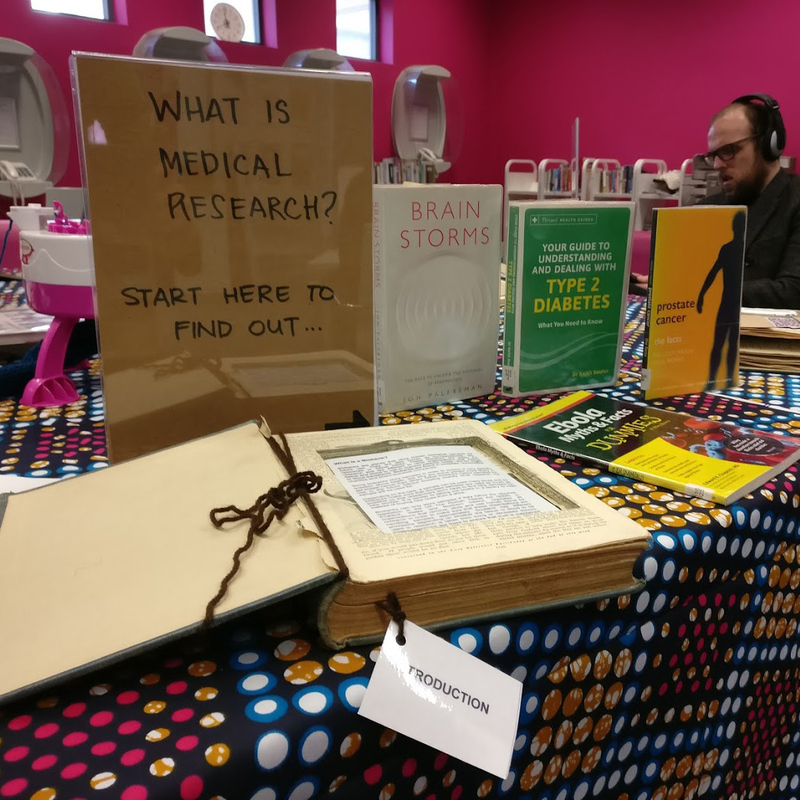 Our activity centres on five books which tells stories of medical research from different perspectives (patient, biobank manager, researchers). In each book, the audience listens to interviews and explores handmade knitted and embroidered objects related to interview subjects. The activity ends with a mock opportunity for the audience to consent to donating their time to knit a scarf via our knitting machine. We wanted to tell a story of the sample through the different people that it comes in contact with. We also wanted to broach consenting to research and why participants may not be able to withdraw their samples and data from research. In the display, participants can donate their yarn samples by placing them in cryovials. After this, they then tie a separate piece of yarn to the knitting machine to add to the scarf. These steps are intended to make visible the connection between individual and anonymised effort joining together for a common goal (research). Debra and I were matched up to start a project together through Body Brain Bingo. Body Brain Bingo was a project run between UCL Culture and ZU-UK that tested out ideas of performance and methods of collaboration by bringing together researchers, artists and community groups. They provided project support, artist fees for Debra and a small production budget for our final presentation. Debra’s background is participative theatre, arts and media. To get her up to speed about biobanking, we visited the Royal Free Hospital’s Biobank and the UCL Pathology Collections. In addition, we also spoke with researchers from UCL Huntington’s Disease Research and Amir Gander from Tissue Access for Patient Benefit (TapB). 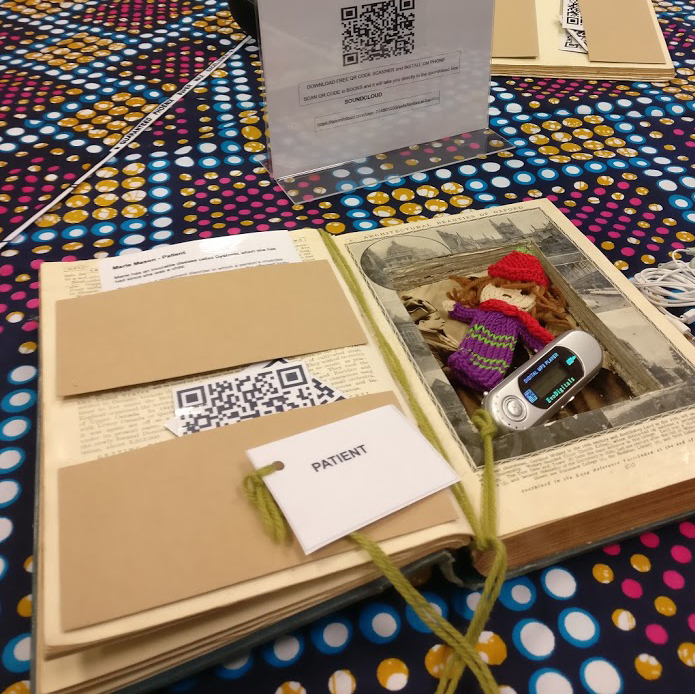 Our activity at Stratford Library was very much a test in how people might interact with the display. It wasn’t until we started cranking the knitting machine ourselves did people come and ask us what was going on. Some of the people who joined us included a man whose family background was in textiles and a man who learned to knit in school as a young boy. The knitting aspect definitely provided an unusual way into a topic they had both never really given much previous thought. Hopefully this isn’t the last outing for our project. In our next phase, we will add more participatory activities throughout the display to encourage more interaction with the content. What biobanking public engagement activities have worked for you? Please share your stories with us to help others working in this area.